Redding Homes Blog is penned by me, Skip Murphy. I’m a Realtor with The Address Realty, a brokerage I helped start-up. 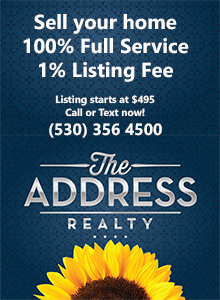 I’ve been a Realtor here since 2004, but I’ve lived in Redding since 1974. This publication is where I share information about matters pertaining to local real estate which I hope you find interesting. I am extremely proud of the business we have built, and so very grateful to all our clients who rely on us for real estate services. Truly, I’d rather listen than talk. I’d love to hear from you.